Kanani Thompson, E-RYT, Owner of Loka Studios LLC, completed her initial 200-hour Hatha Yoga Teacher Training at Yoga Yoga Studios in Austin, Texas under the Hatha Viniyoga/Yoga Therapy discipline. Wanting to enhance her Yoga Therapy training, Kanani certified as a Relax & Renew® Restorative Yoga Teacher under Judith Hanson-Lasater and went on to study iRest®/Yoga Nidra and advanced meditation with Dr. Richard Miller. 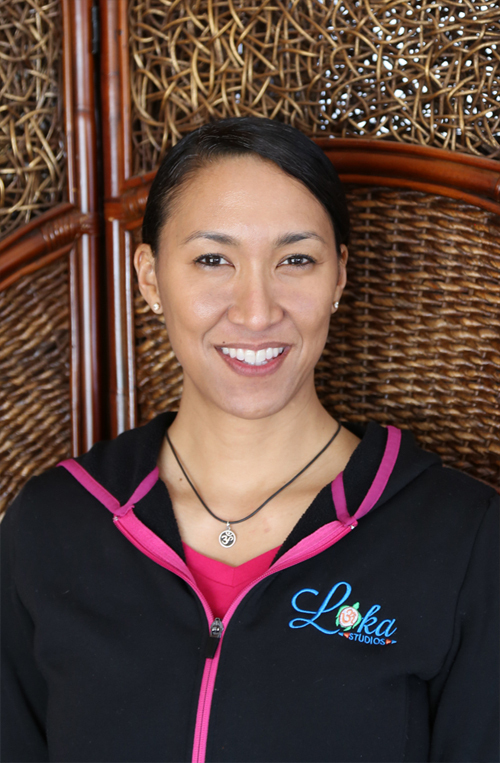 In addition to traditional yoga and meditation therapies, Kanani certified as an Aroma Yoga® Teacher under Tracy Griffiths, and Aroma Freedom Technique® which incorporates Therapeutic-grade Essential Oils into her wellness practices. She is an Experienced Registered Yoga Teacher with the national Yoga Alliance and is a member of the International Association of Yoga Therapists. Kanani spent 22 years serving on Active Duty and in the Air Force Reserves serving as a Medical Administration Technician and an Intelligence Analyst, and continues to be an integral part of the military family as a reservist. She is an avid dog-lover, essential oils enthusiast and supporter of local non-profit organizations. Kanani wants to share these yoga, meditation and essential oil therapies so others may find harmony, balance and healing while pursuing and living their higher purpose or dream. Through compassion & kindness for Self…together, we may all have greater compassion and kindness for each other.